Severe winter weather can increase the danger of road travel, particularly for large commercial trucks. Due to an unprecedented breakdown in the polar vortex, at least seventy-five percent of the U.S. will experience freezing temperatures this week. The combination of high winds and bitterly cold air is so extreme that officials are warning of almost instant frostbite in the Northern Midwest. Severe winter weather can increase the danger of road travel, particularly for large commercial trucks. Were you the victim of a trucking accident in Maryland this winter? If so, read on to determine your next steps. The moments immediately following an auto collision can be stressful, but it’s important to regain control over the situation if you are physically able to do so. Call the police, exchange important information with the truck operator, talk to any witnesses, and take photographs. Do not discuss your case with any person other than your attorney and be wary of early settlement offers from commercial truck companies. 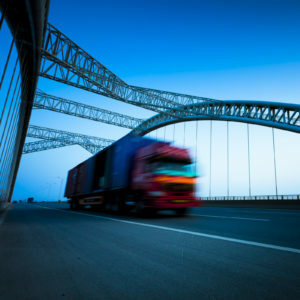 The rules of the road are heightened for trucking companies. Due to the sheer size and weight of a commercial truck, drivers need to operate with the utmost caution. Failure to do so could prove that the company was negligent for hiring or entrusting the operator. Furthermore, trucking companies must comply with various state and federal rules and regulations. If an operator works more hours than contractually obliged, the company could be legally liable for any accident that may occur. In Maryland, the concept of contributory negligence could bar recovery in a negligence claim if the plaintiff was at all responsible for the accident and subsequent injuries. The rule does not apply to all instances of conduct, so it’s important to talk to a lawyer about your specific case. Only a lawyer can help determine in the contributory negligence rule applies to your accident. This entry was posted on Wednesday, January 30th, 2019 at 1:59 pm. Both comments and pings are currently closed.